Tom Ford Sahara Noir bears an alluring and captivating aroma that centers around mystery and intrigue. 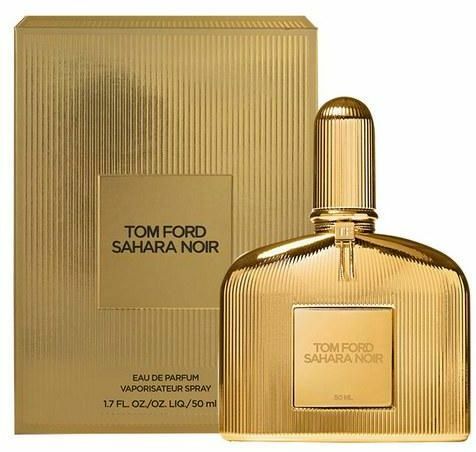 Get this Tom Ford perfume from Souq.com.Sahara Noir by Tom Ford is a balsamic fragrance with floral facets. This Tom Ford fragrance for women is concocted using incense that bears a relieving aroma and has resinous character. It invokes the mystery and luxury of the middle east. This fragrance for women also has deep and powerful notes of labdanum that infuses an ambery sweetness into this concoction. The Tom Ford Sahara Noir also has vanilla and benzoin that offer warmth to your senses. It is available in a 50ml flacon that has an appealing presence that calls you to have a sniff of the fragrance inside. The top notes of the Sahara Noir has bitter orange, calamus, cypress, and labdanum. The soft and spicy notes of calamus and mossy cypress invoke a mystery that is hidden in the mountains. The presence of bitter orange and labdanum and bitter orange infuse sweetness and add a hint of freshness into this perfume for women. The heart binds incense, cinnamon, cool papyrus extract, rose absolute from Morocco and Egyptian jasmine with honeyed and animalistic shades of beeswax from Burma. This gives Tom Ford Sahara Noir a sweet and sensual character. The base of this Tom Ford perfume centers around warm amber notes that constitute a composition made of labdanum and ambreinol, cedar, frankincense resin, benzoin, vanilla, oud, and balsams.